ski Val d'Isere part of the famous L'Espace Killy resort. Home to many Olympic champions including legendary gold medalist Jean-Claude Killy, Val d’Isère offers the whole package: a real town surrounded by the kind of tall jagged peaks, endless vertical and superior terrain that can only be found in the French Savoie Alps. The ski area, which is the largest in France, is linked with Tignes, creating “L’Espace Killy,” with 186 miles of marked runs for every level of skier, as well as ample off-piste and untracked powder for the expert. 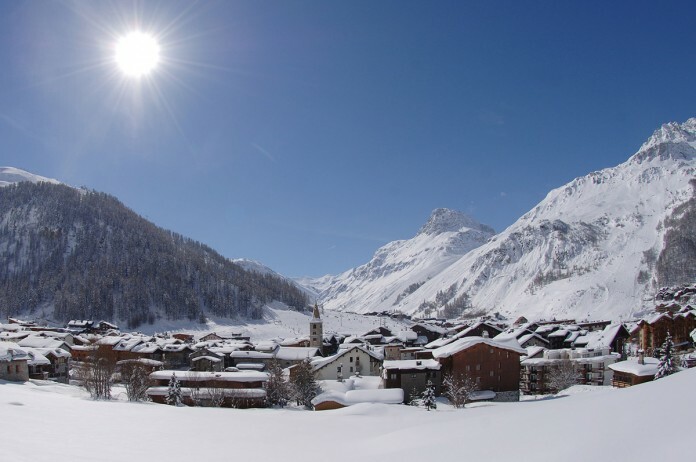 On a Val d’Isere ski vacation you’ll be pleasantly surprised to discover that “the authentic skiers’ village,” manages incredible harmony between modern tourism (27,000 beds to boot) and local chalet-style architecture. This posh little village, which sits at over 6,000 feet, has been host to inhabitants since before the 11th century, and became a fully-operational ski resort after World War II. As host to some events of the ’92 Winter Games, more polish was added to an already magnificent gem, and it now enjoys a reputation as one of France’s top-shelf resorts. Arranging a private jet charter or helicopter transfer with Freedom Air to arrive in style to Val d’Isere is simple. The Freedom Air team can be reached on +44 (0) 1275 548001 to book your next trip.